Find out where consumer advocate Chris Elliott draws the line when going through airport security—and feast your eyes on other interesting stories—in this week’s round-up of juicy travel scoops. While we’re certainly not advocates of dumping junk into the ocean, we have to admit this is pretty fascinating. The Huffington Post reports that the oldest message in a bottle yet has appeared off the coast of Scotland. Reportedly, a Scottish sailor picked up the 97-year-old treasure (a world record!) in his fishing net. The bottle, which was cast into the water in 1914, carried a post card from Captain CH Brown of the Glasgow School of Navigation. Read more here. A tourist in Iceland mistakenly took part in a search-and-rescue effort … for herself. A bus tour in the mountainous region near island’s Eidgja canyon conducted an extensive search effort after one member of the group failed to return to the bus. But sometime during the tour—around 3:00 a.m.—the effort was halted when it came to light that the missing person, unaware that she was the one everyone was looking for, was involved in the search. The woman was actually on the bus the whole time, only she didn’t realize that all the commotion and coordinated searching was about her. Once it hit her, she let everyone know right away. At least she followed the golden rule! Read the whole crazy story in The Independent. At what point will travelers simply stop putting up with invasive pat-downs and excessive screening in the airport security line? When toddlers get pat-downs? How about in cases of racial profiling? 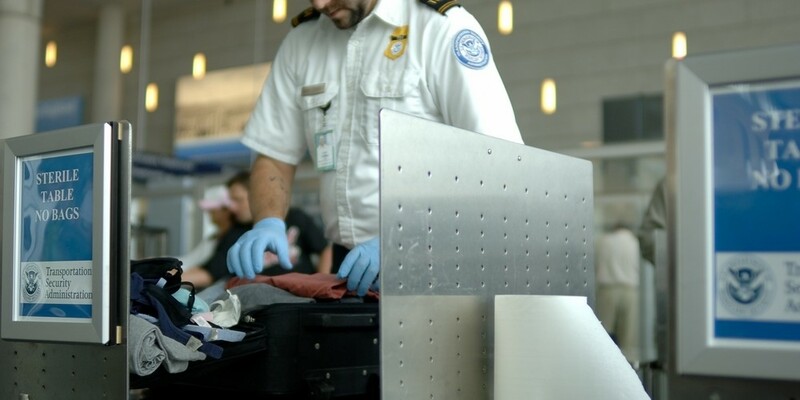 Have you ever stood up to the TSA? If not, what would it take for you to stop and say something?